The 16-minute video, called 'Combatting Spy Airplanes,' is slapped together and makes use of US military public relations videos – many of which are on open display in the media – to make its point, the Washington Times reports. The insulation can be converted to offer day protection by painting it with camouflage colors, or by adding tree branches, and can be folded up to be easily carried. Drone strikes have been ongoing in Yemen for 13 years, and the jury is still out on how effective they are. 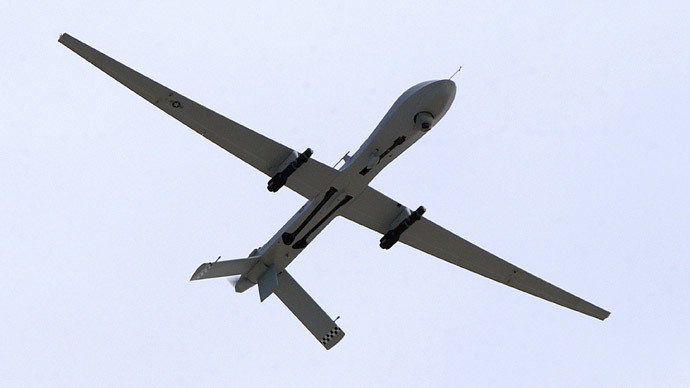 A number of high ranking Al-Qaeda leaders have been taken out by drones. In November 2002, a CIA Predator drone took out Ali Qaed Senyan al-Harthi and five of his comrades by tracking their mobile phone signals. In September 2011, a Hellfire missile killed Anwar al-Awlaki, a charismatic US-born cleric. Obama has stepped up drone attacks in Yemen, with more strikes issued in the last few years than throughout the 2000s, as AQAP tries to duplicate the success of its terrorist colleagues in Pakistan. But some analysts doubt that drone strikes have been effective in eliminating AQAP in Yemen, as they are still making significant gains against Yemen’s own hard-pressed security forces. There is also the problem of the collateral damage that drone strikes cause. Data collected by the Bureau of Investigative Journalism and released in November 2014 showed that drone strikes against terrorists in Afghanistan, Pakistan, Somalia, and Yemen over the past ten years have killed 1,147 people – most of them civilians, including children.